And another. 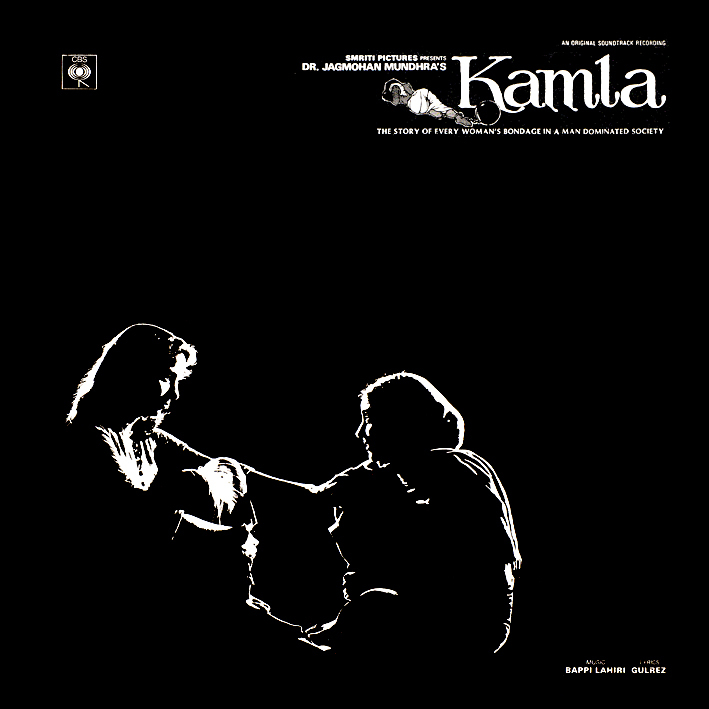 This one's a very different sounding score from what is usually expected from Bappi Lahiri though; there's nothing bombastic or cheesy or even loud to be found on 'Kamla'. Perhaps it was decided that for a film dealing with modern-day domestic slavery, a more subdued tone would be appropriate. To his credit, Bappi pulls it off just fine - it's a soundtrack well worth a few listens. There are only three songs, of which Salma Agha's beautiful 'Aaj Phir Aaine Ne' is the one I keep coming back to. The rest of the album is made up of short and sparsely arranged instrumentals. My favourites are the intriguingly titled 'Urban Flesh Market', 'Ego Trip' and 'Rural Flesh Market' (all variations on the same theme) and the Gypsy jazz flavoured 'Ecstasy'. On the cover, special credit is given to the instrumental tracks' respective soloists, so for anyone interested I'm including that bit of info here. I don't get it... why get Lahiri as music director and then tell him... not to be Lahiri? Yeah, that struck me too. Maybe he asked to do it; maybe he was tired of being Lahiri? Don't know though. But still a good album, and there are funky touches here and there. Coolness. *often loves "non-Bappi" Bappi, lol! Blimey, yeah it has been a while. You were one of the first people who commented, weren't you Deewani? Glad you've stuck around!